Down in Manton Bay things are exceedingly quiet, we still have the two adult birds but no sign of any of the chicks. Elsewhere it looks as though Rutland birds are starting to leave the UK on their own migrations back to their wintering grounds. We will soon be updating you on 30s’ progress as she starts her fifth migration with a satellite tag! What an incredible bird! 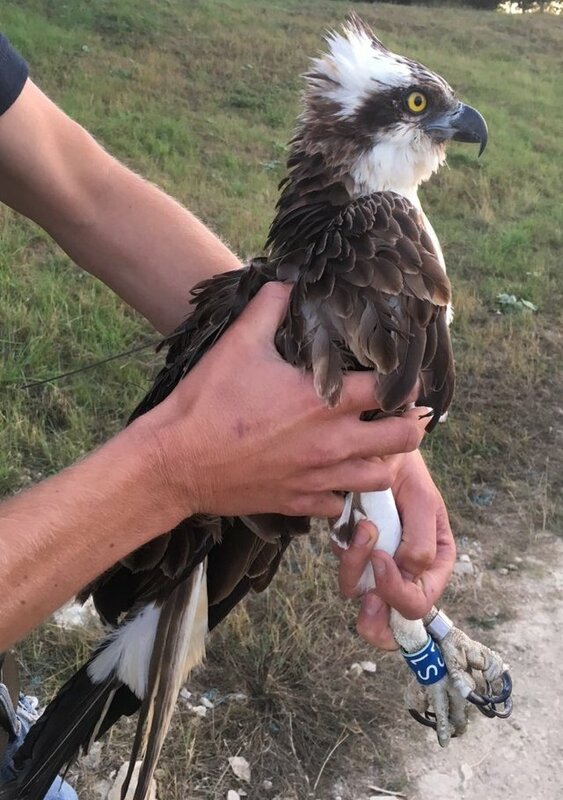 The two birds selected for tags this year were S1(15) you should recognise him, as he is a Manton Bay chick, who first returned in 2017, and 4K(13) who is from a site on private land and first returned to Rutland in 2015. In fact S1 the youngest bird has already set off on his migration! At 14:00 on the 25th of August he left the UK crossing the English Channel between Brighton and Newhaven. By 17:00 he was in France. 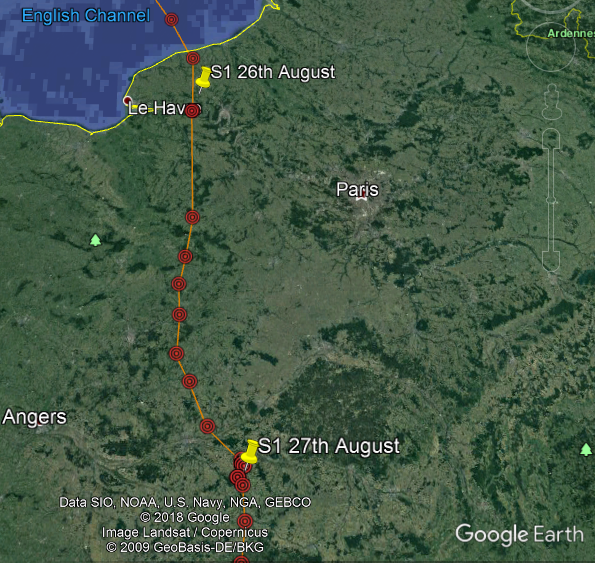 After what must have been a tiring crossing he stopped off overnight in woodland just east of Le Havre, in just one day he managed to clock up an amazing 377.98 km. 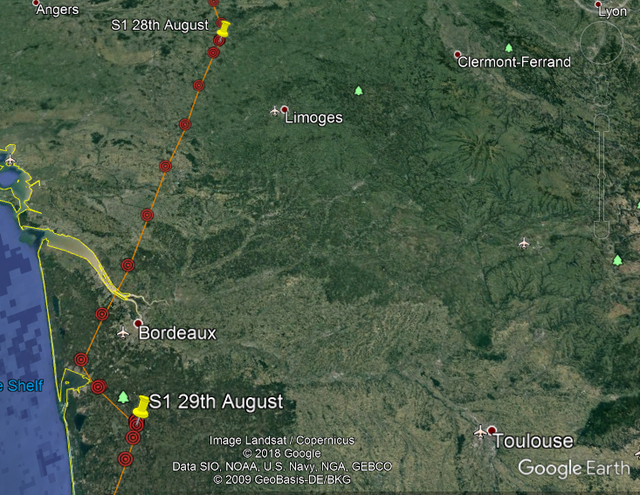 On the 26th S1 continued his travels south, not stopping until he found another large piece of woodland east of Tours, and rested there overnight. The next morning he was back in skies, by now he must have been getting hungry, he only covered just less than 100 km before he found himself a nice lake north of Le Blanc to catch some dinner and rest up. 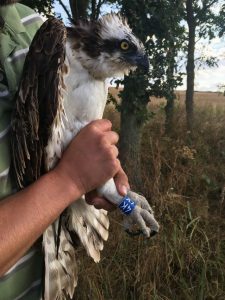 The break and food did its trick, as the next day he was off like a rocket, he made his way south-west towards the coastline and the Gironde estuary, a popular spot for migrating birds. 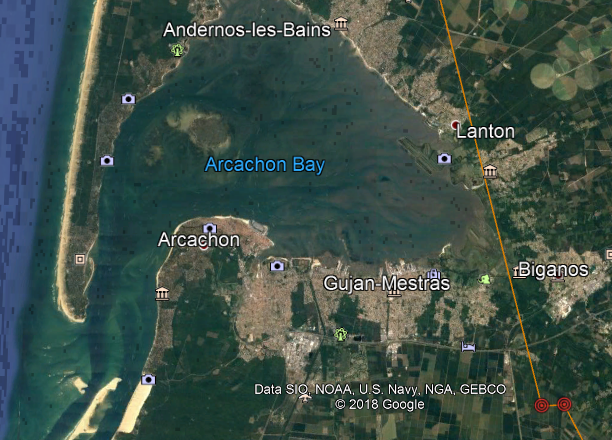 S1 then continued on towards Arcachon Bay, stopping only when he found a large spot of woodland to the south-east of the bay. The next day S1 headed back towards the coastline, it looks as though he could have then used the coastline as a guide, as he follows it straight down until he reached the Pyrenees. From here he headed south east, and on the 30th of August passed over Madrid. 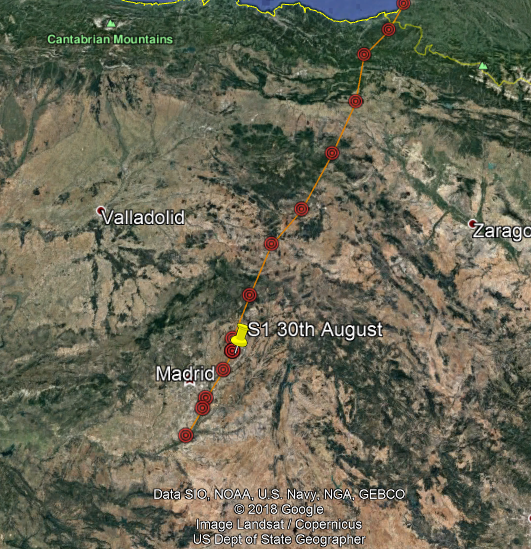 Our last update from S1 showed him just south Madrid, over the past 5 days he has covered an amazing 1535.78 km. 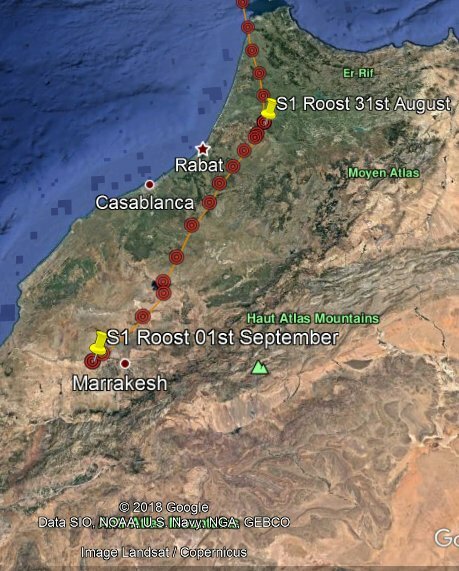 It’s really intriguing to see where he will end up; at this point in time it doesn’t look as though he is heading for Portugal, where some Rutland birds have been spotted over wintering, so most likely he is heading down to West Africa, just like 30. As for are satellite birds the young S1 is powering over Southern Europe, and yesterday morning cross over towards Morocco at the strait of Gibraltar, it’s going be interesting to see where he goes next! Before he made is trip down into Africa, he stopped off in Southern Spain at the Embalse de Cordobilla at wetland reserve in the Andalusia region of Spain. 5 Sept. 2018 - Monty is still with us. just before she left us for warmer climes. "The Last Breakfast"
So, for the first time in over 90 days, no Alys on the nest tonight. Has she gone? She bolted off the nest at just before 10:00 this morning and we haven't seen her since. Monty...and the fish carcasse fells down off the perch, Monty took off the same time.